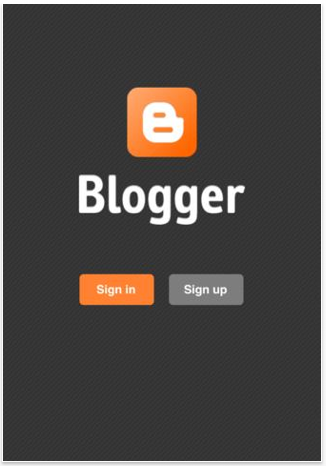 Blogger (Free) by Google officially brings Blogger into the world of iOS. Using Blogger is great, but previously the best way to add to it was using a computer. 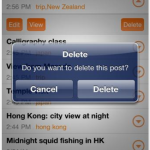 But now you can add, edit, and delete posts, as well as view your blog from your iDevice. 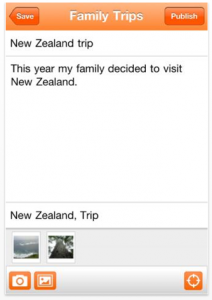 Sign in with your Google account and allow the app permission to access your account. 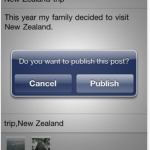 The next screen will show you a screen for creating a post. 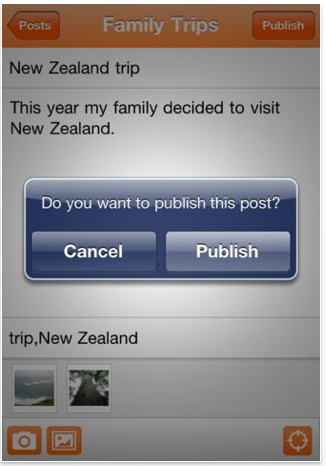 Type your subject and message; you can include a picture from your photo albums or take a picture on the spot too. However, unlike the browser version of Blogger, you can’t select where you’d like the picture positioned in your post. Seeing the post screen when first entering the app is a little misleading because if you have multiple blogs, you’ll see only one of your blogs in the menu bar. 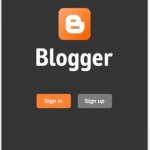 However, what’s great about this app is that you can access all of your Blogger blogs. Select the gear icon to access your settings, this is where you can switch to another of your blogs from a list. While it works on the iPad, the app seems better suited to the smaller screens of the iPhone and iPod touch. Viewing my blog magnified on the iPad resulted in a blurry view. Zooming in did clear it up, but I think an iPad version would be a better solution. The one key feature I think this app needs is the ability to access your dashboard. Technically, this can be done within the frame of the app, but it would be much better if the controls were integrated into the interface. While this app is good for adding to your blog, creating a new one would still be better accomplished using a computer. 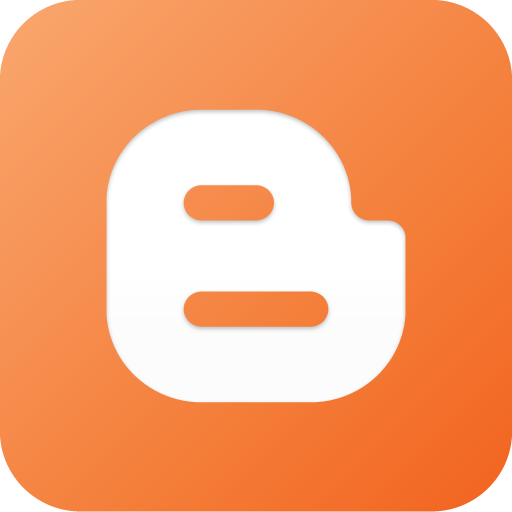 It’s great to finally see an official Blogger app, though it could stand to implement more of the browser version’s functionality. 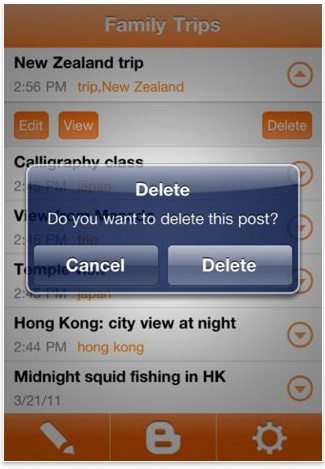 I definitely recommend this free app for any Blogger user.